PANDAS/PANS and other brain disorders can be incorrectly diagnosed as mental illness when actually caused by infectious agents. Our experts presented current testing methods and available treatments. They also presented and analysed a number of case studies of patients, the advantages of using certain biomarkers, the reason these are selected and the information they provide for both the professionals and parents. Dr. Craig Shimasaki, President & CEO Moleculera Labs, Inc. Precision Medicine is radically changing the way cancer therapy is planned for and delivered to millions of people around the globe. It is at the forefront of science and its results so far have been nothing short of astounding. This event brought together some of the most renowned, experienced and inspirational scientists in the field. Their research and expertise has mapped the customisation of healthcare in cancer, allowing thousands of patients to benefit from medical decisions, treatments, practices and products that relate to their individual makeup. Unprecedented levels of wellness have, thus, been achieved, making personalised medicine the obvious choice of 21st century cancer care. For more information get in touch with AONM. Dr. Armin Schwarzbach, CEO of ArminLabs, delivered a workshop designed specifically for health professionals, in order to help better understand the correct laboratory investigations needed to aid diagnosis as well as detailed discussion on how to interpret the results. This event was held in 2 parts. The first part of the evening covered the basics for those who are new to ArminLabs, or those who would like to refresh their knowledge. The second part of the evening will be more advanced. All the chronic neuroimmune diseases emerging over the last four decades can be seen as acquired immune deficiencies. A paradigm shift in understanding is underway: specialists around the world have understood the mechanisms driving these diseases, and are now pooling their efforts to develop effective solutions. Chaired by Dr. Judy Mikovits, this conference was a unique gathering of outstanding scientists and physicians in this field, where they presented groundbreaking information on how to overcome the chronic immune-related pathologies that are the plague of our times. maintrac™ is a method for monitoring epithelial cancer cells and testing their sensitivity to drugs and natural agents developed by Professors Katharina Pachmann and Ulrich Pachmann in Bayreuth, Germany. Both are medical doctors as well as research scientists, and have been conducting studies in this field and refining related techniques for over two decades. Particularly interesting about this method is that patients/therapists can submit natural agents (either individually or combinations) to see how strong their anticancer properties are on a specific patient’s cells. The test of circulating cancer cells is very reasonably priced, making regular testing viable in order to track the impact of the patient’s therapy. maintrac™ has been analysed and validated in clinical trials and the testing is performed in a DIN ISA 15189 EU accredited laboratory (the most rigorous possible standards for laboratory testing in this field) and was recently invited by the European Commission to present at the BIO International Convention as one of the 15 most innovative European companies. Professor Pachmann explained the methodology of the testing method, its applications, and the correlation studies that have been performed. She also covered the exciting research their laboratory is conducting in this arena. Cell Symbiosis Therapy (CST) is a mitochondrial approach that focuses on our cells’ energy powerhouses. Gilian Crowther will discuss the toxins, infectious/viral pathogens and nutritional deficiencies that can disable our mitochondria, and how to help fast track clients to recovery. interaction of mast cells and microglia to activate inflammation of the brain. tick-borne diseases and Morgellons disease. For further information and to register go to eventbrite, call 03331 210 305 or email events@aonm.org. Judy Rocher, Education and Training Manager at Rio Trading Company, will deliver an interactive workshop to provide the most up-to-date nutritional and herbal protocols for Lyme Disease and its co-infections. Attendees will learn about the difficulties with conventional Lyme treatments, and will learn practical information on how best to help their clients. They will develop their ability to distinguish between different types of Lyme disease and recognise which areas of the body are most affected by Lyme, enabling them to adjust the protocols and achieve improved results. Areas covered will include Neuroborelliosis, Lyme arthritis, eye involvement, tingling/numbness and more. Special guest speaker to be announced soon. Tea & coffee, still & sparkling mineral water, whole fruits & snacks, nuts, dried fruit and seeds available on arrival, at registration, and during morning break. Also includes a delicious light buffet lunch with gluten free options. or contact us at info@aonm.org for email application and other payment options. This event is designed primarily for healthcare professionals and complementary practitioners, but will be accessible to patients & carers who would like to further their knowledge on lyme protocols. CPD accreditation has been applied for. Dr. Armin Schwarzbach will examine the mechanisms by which Lyme Disease can be a causative factor in autoimmune conditions. Hashimoto’s and rheumatoid arthritis are just two of many where Borrelia have been evidenced. Cross-reactive antibodies to spirochetal and self-antigens are known to lead to degenerative musculosceletal diseases such as Sjogren’s syndrome and other connective tissue disorders. Dr. Schwarzbach will highlight how important it is to consider bacterial and viral infections in autoimmune and degenerative disease of all kinds, and describe relevant diagnostic tests. Chronic Lyme and Neurological Disorder: Is Phage Therapy for Chronic Borreliosis Possible? Dr. Louis Teulieres will introduce borrelia strains and forms, with a focus on parasite and host relationships, including intracellular, persister, cyst and other forms/colonies. Dr. Herbert Rixecker almost had to give up his profession as a maxillofacial surgeon – his hands had grown stiff, he was unable to operate. He found that he was suffering from Lyme Borreliosis as well as Bartonella, Mycoplasma and Chlamydia pneumoniae. Antibiotic therapy was unsuccessful. He was about to give up in desperation when a colleague was able to diagnose the problem: Lyme had colonised a specific site in his jaw and triggered a pernicious form of neuroborreliosis that was affecting the nerves to his hands. Once his wisdom tooth was extracted he felt immediate relief. Since that day he has regained full use of his hands and is pain-free. He realised that dental issues were often the key to recovery from Lyme Disease, and has dedicated his work to this field. He has an integrative technique that uses a number of specialists to assess a patient’s skeletal structure from top to toe, as misalignment can lead to weaknesses in the temporomandibular joint. Nests of infection build that can quickly reach the central nervous system and wreak havoc throughout the body. Dr. Rixecker will present details of his findings, as well as his targeted therapeutic approach. Our mitochondria govern our cellular processes in ways that are only now coming to light. Energy production of course – but also vital cell signalling that governs innate immunity, methylation, inflammation, apoptosis. These bacterial inhabitants of our cells run on a deep-rooted evolutionary logic that – if we understand it – can help guide us back to health. Dr. Schwarzbach will discuss the various tests available for Lyme and its coinfections, and show how to select those with the highest sensitivity and specificity. He will then give an overview of the various treatment options. Dr. Schwarzbach is a great proponent of CAM approaches to Lyme disease, and will focus on non-allopathic avenues to recovery. This conference will provide answers to important questions on chronic disease by stepping outside the box. Chaired by Dr. Judy Mikovits, our panel of internationally renowned speakers will explain how chronic disease is a result of the complex interactions between pathogens, our environment, genes and immune system. It will be explained how we can use familial studies as a tool to understand chronic disease in susceptible individuals. This promises to be another ground-breaking conference and is, again, addressed to health professionals, patients, carers and members of the public. 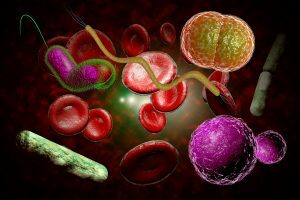 Expand your knowledge on natural therapies for Lyme disease and the related co-infections. Various protocols will be discussed including the Cowden full and condensed protocol, Fred Kuipers protocol, as well as recommendations by other leaders in the field such as Dr Dietrich Klinghardt, Dr Richard Horowitz and Steven Buhner. Please be advised that places are very limited and will be allocated on a first-come, first-served basis. The Academy of Nutritional Medicine in association with the Colchester M.E. Self-Help group is holding a meeting on Sunday 14th June, 2015. Professor Puri will discuss pathogens that often underlie severe conditions, causing infections that may remain undiagnosed for years. Our cells are driven by mitochondria, tiny powerhouses that orchestrate every aspect of cellular activity. Their dysfunction is increasingly being recognised as a major factor in chronic disease. Gilian will explain their role in M.E., and how to help restore optimal mitochondrial function. Professor B. Puri is a medical researcher and consultant at Breakspear Medical Group, Hammersmith Hospital and Imperial College London. He has researched into a variety of conditions, including depression, ME, ADHD and Huntingtonâ€™s chorea, using state-of-the-art electrophysiological, brain scanning and biochemical techniques. Along with carrying out medical studies and consulting, he supervises research into nutritional medicine. He is also the Medical Advisor to the Colchester MESH. Gilian Crowther is a Naturopath and Nutritional Therapist with many years of experience in Cell Symbiosis Therapy® (CST), a mitochondrial therapy that originated in Germany. Focusing on the mitochondria as an underlying factor in chronic conditions can be key to restoring health. Gilian practises CST within a network of practitioners at the Academy of Nutritional Medicine in London. She also regularly holds seminars and writes articles on the mitochondria. The gut, mitochondria, testingâ€¦and an exhibition: the CAM Summit, 20 June 2015, London. A brand new event from the organiser of the CAM Conferences, the CAM Summit invites some of the best CAM educators in the world to London to grow CAM practitioners’ knowledge in an environment dedicated to education. Speakers include; gluten-expert Dr Tom O’Bryan, chiropractor, naturopath and osteopath Dr Alex Vasquez, clinical nutritionist Robyn Puglia and AONM naturopath Gilian Crowther. As well as an exhibition area with some of the UK’s leading product suppliers and plenty of time to meet and network with like-minded professionals. For more information, and to book your place, log on to www.camsummit.co.uk or telephone 01279 810080. Places normally cost Â£85(inc.VAT), but use the promo code “GILIAN” for a £20 discount. A half-day workshop at the Holiday Inn, Regents Park, Carburton Street, London W1W 5EE. Judy Rocher, therapist and education manager of Rio Trading, will be discussing Lyme Disease and natural therapies such as the Cowden protocol (condensed and full). This course is hosted by AONM. A half-day seminar at the Holiday Inn, Regents Park, Carburton Street, London W1W 5EE, with Gilian Crowther, MA (Oxon), MBANT, CHNC reg. Cell Symbiosis Therapy (CST) is a revolutionary approach that traces the origins of most chronic disease to downregulation of mitochondrial ATP production. CST examines the evolutionary programmes that drive this blockage. Understanding how to reverse this and restore oxidative ATP production opens up entirely new avenues for therapy. The event is CPD accredited. AONM held a ground-breaking conference led by top specialists from around the world, all of them renowned for their expertise on infectious pathogens and chronic disease. Speakers were Professor Malcolm Hooper (keynote speaker), Dr Judy Mikovits MD, Dr Armin Schwarzbach, Professor B. Puri and Dr. Philip Kielman. Dr Philip Kielman was educated in Nijmegen. He owned his own Pharmacy in Arnhem for 20 years. During the last ten years he has been working as full-time Quality Manager at TS Products (Benelux). He is also responsible for regulatory affairs at TS Products, where he also acts as Head of Education. Wednesday April 16 from 5.15 pm to 8 pm. One of the areas the Academy is keen to advance in the UK is Lyme Disease. Lyme Disease is a highly misunderstood disease that affects millions worldwide. The current lack of coherent guidelines and unity within the medical profession is doing a great disservice to many patients, and AONM is keen to help change this situation. The evening will provide deep insight into Lyme Disease, including the causes, symptoms and natural treatment options available. Laboratory testing will also be discussed as it is notoriously difficult with this particular disease. This will be an invaluable opportunity for any therapist working in a clinical setting or wanting to further their knowledge of Lyme’s and related co-infections.Â Misdiagnosis of Lyme Disease is thought to be at record levels. Like syphilis in the 19th century, Lyme Disease has been called the great imitator and should be considered in the differential diagnosis of rheumatologic and neurologic conditions, as well as chronic fatigue syndrome, fibromyalgia, somatization disorder and any difficult-to-diagnose multi-system illness. ~ International Lyme and Associated Diseases Society (ILADS). This event will be an interactive workshop with the intention of sorting through the myths from the facts.